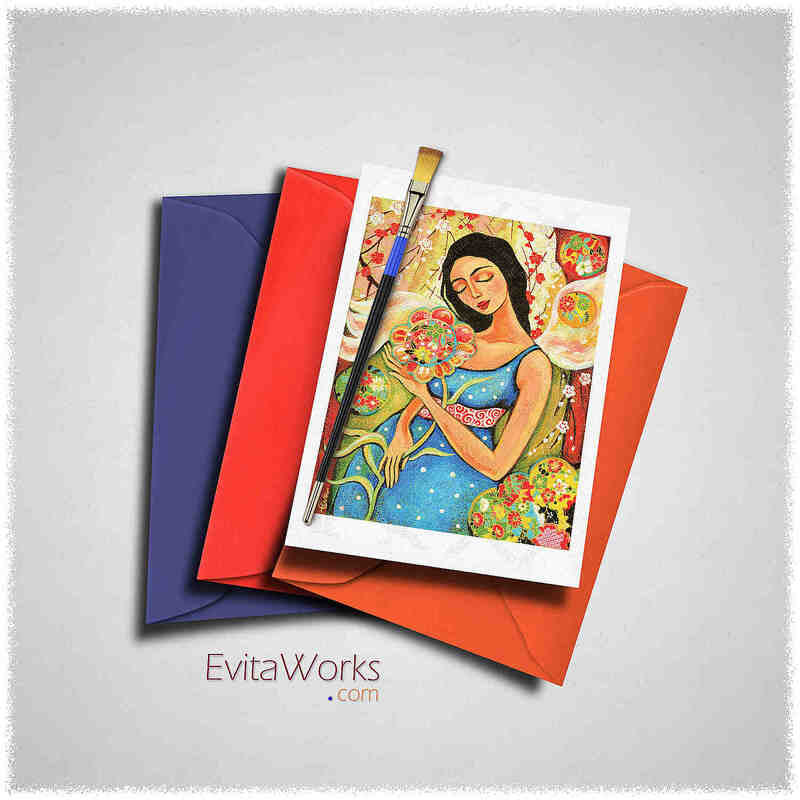 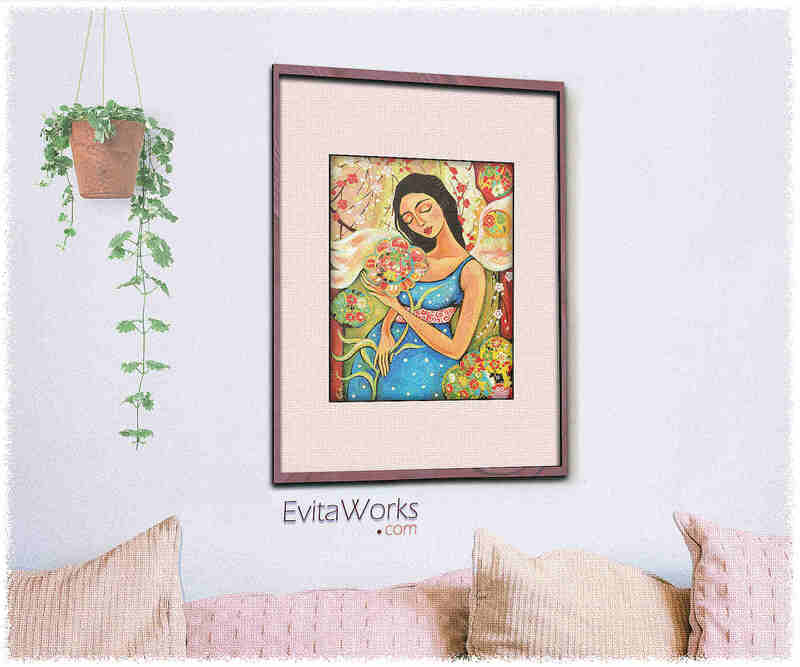 This item is based on our original painting, named “Birth Flower”. 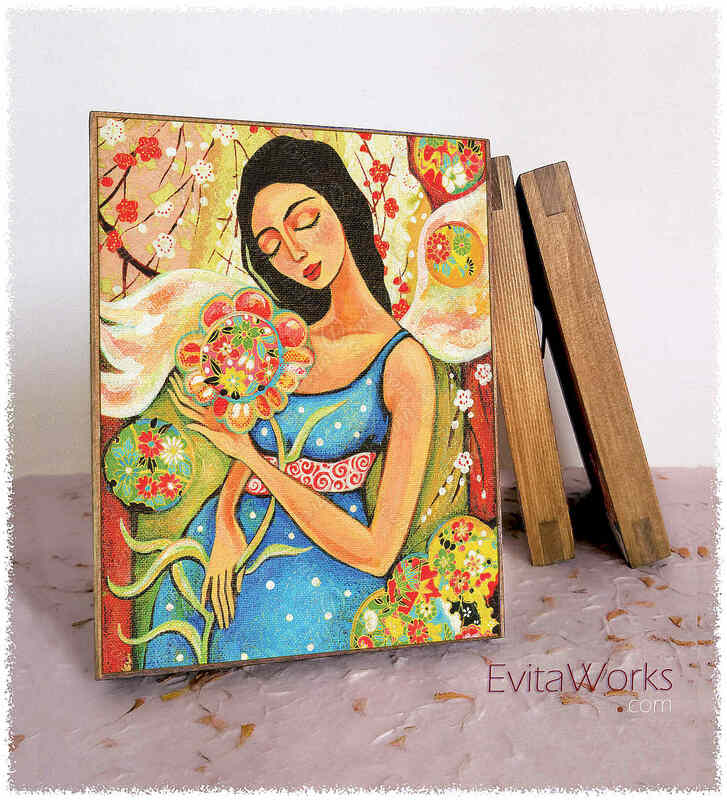 It depicts an expecting and dreamy mother holding a blooming flower in her hands. 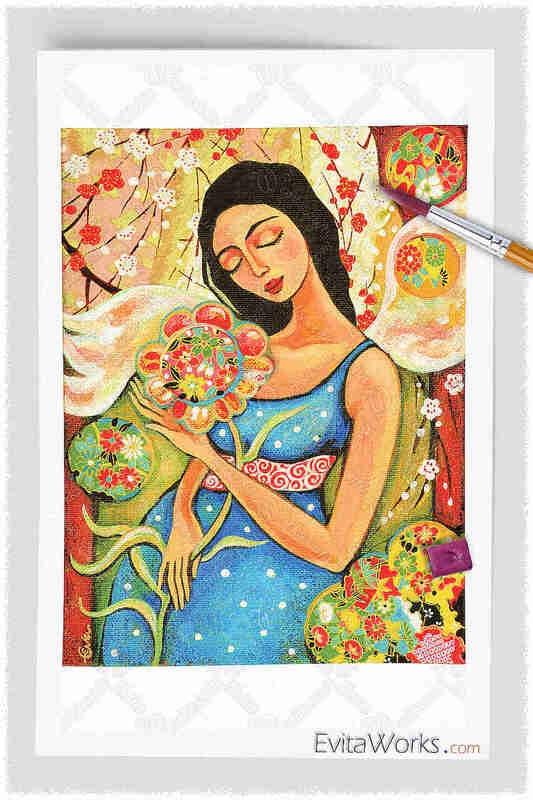 Gently wings and a colourful tree suggest the realm of fairies and magic, and a ‘Tree of Life’ symbolism. 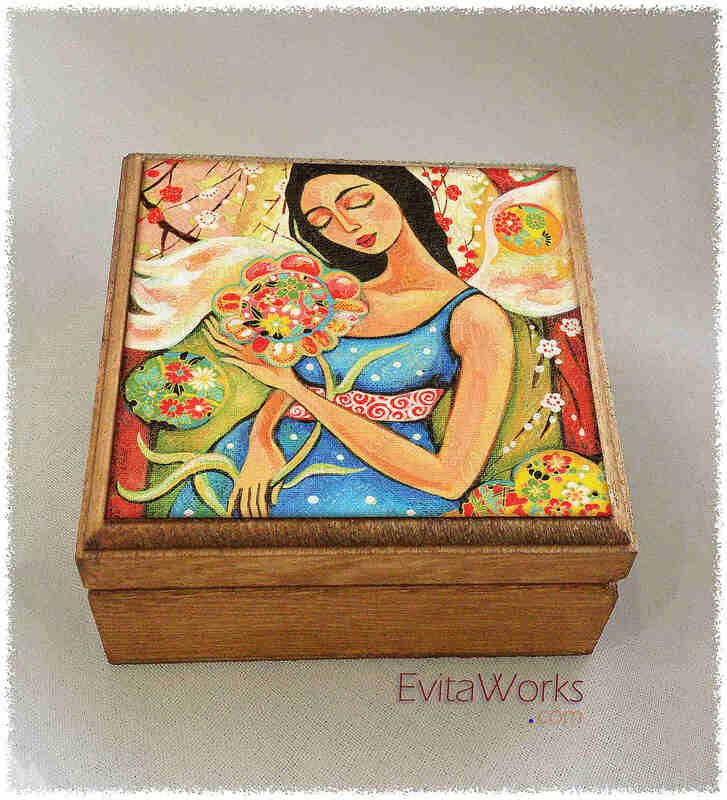 The original was painted with acrylic on canvas, in vivid color nuances of blue, green, red, yellow.